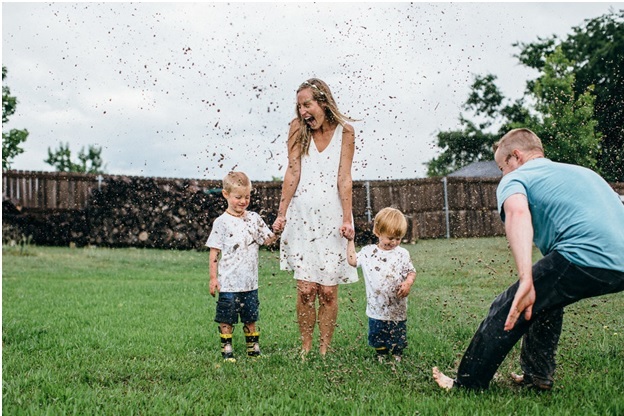 When seeing a single bee flying in front of the face makes many run for their lives, this Ohio mom, however, chose a swarm of bees for her maternity shoot to celebrate the upcoming birth of her fourth child. Soon-to-be mama, Emily Mueller, covered her pregnant belly with 20,000 of bees to pose for her maternity shoot. 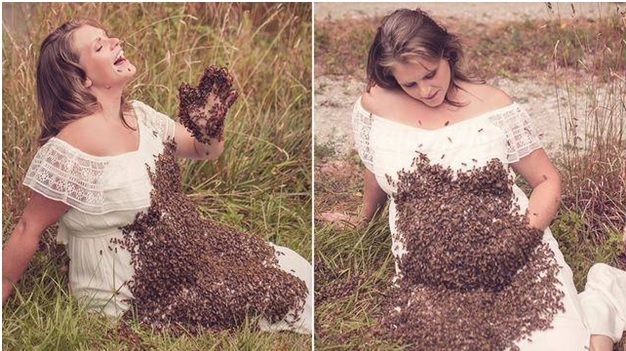 She seems to be unafraid and happy in the photo where her body is majorly covered with bees. This confidence is mainly because of her being a beekeeper herself and also being a co-owner of 24 hives with her husband, Ryan Mueller, for their company which comprises of around 1.2 million of bees. 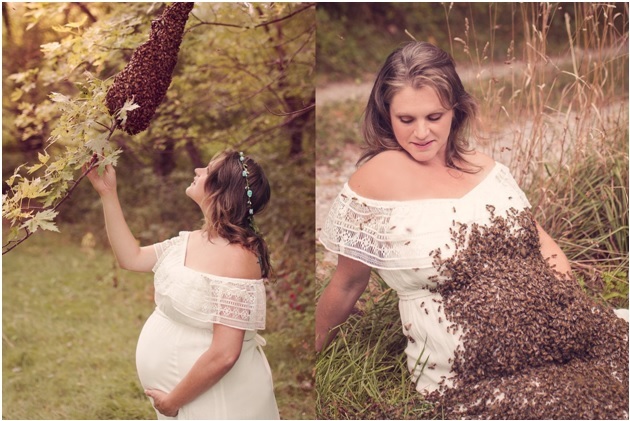 Though it is very courageous of her to go for such a bold maternity shoot, Emily made sure that bees remain “content and gentle enough to work with” by feeding them with sugar prior to photo shoot. Emily said in an interview that her motive behind such a photo shoot was to pay homage to both – bees and her children. She said “Bees represent life and death” and as she had gone through three miscarriages earlier, so she wanted to dedicate this shoot to life and death, to all the children she would have had. Emily is expected to bring the upcoming baby into this world in November and we hope that both and the baby stay safe and blessed.